Next year Nine will unveil a brand-new format, Lego Masters, where your only limitation is your imagination. Mind-blowing, brick-building brilliance will be on display, delivering family entertainment loaded with fun, action, drama and humour. 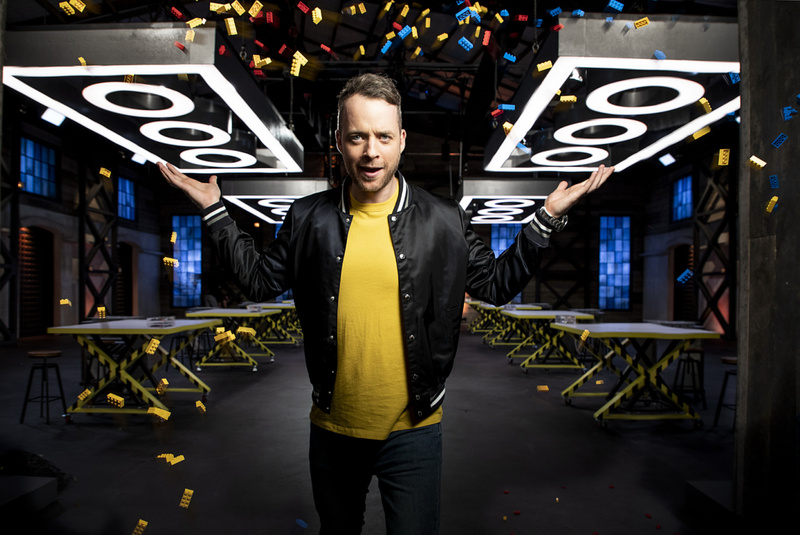 Lego Masters, hosted by Hamish Blake, will pit eight pairs of brickheads against each other in a quest to impress with their creativity, design and flair, driven by their unparalleled passion for the possibilities that will start with a single LEGO brick. 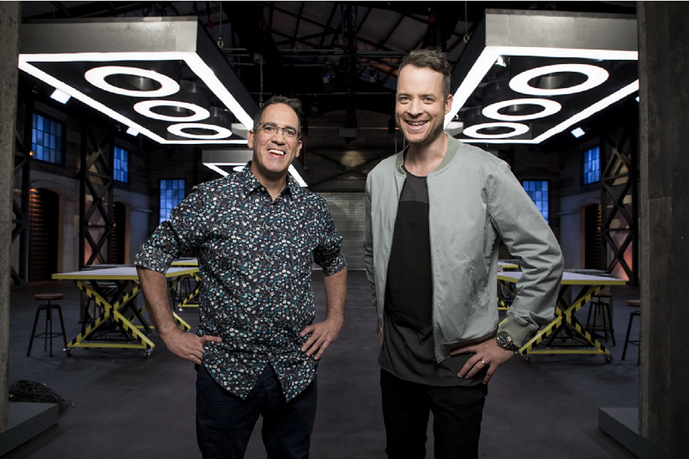 Lego Masters is produced by Endemol Shine Australia for Nine. I’m actually excited about this, this could be the new ANW of 2019. I think this will be big. Cool concept even if it is a giant advertisement by design. I just want someone to build a scaled version of a city or something. This looks good! Production commenced today in Melbourne on Nine’s brand-new family entertainment series, LEGO MASTERS ®. Bringing together the most fanatical brick builders from around Australia, the scene is set for a competition unlike any other, filled with passion, imagination and creativity, as eight pairs of LEGO-loving characters surprise and delight with the funniest battle of the bricks ever staged. In charge of proceedings is Hamish Blake , unabashed LEGO tragic and big kid at heart. As host, Hamish will be in his element as ringleader of the fun, ably assisted by judge and resident LEGO expert Ryan “The Brickman ” McNaught . As the Southern Hemisphere’s only LEGO-certified professional – and one of only 14 in the world – no one is better placed than The Brickman to put these talented amateur builders to the test. Seeing this universally loved pastime brought to life by the limitless imaginations of the eight teams will appeal to the inner child in us all, as they create jaw-dropping, show-stopping models that must be seen to be believed. There will be challenges to test the LEGO lovers’ design and engineering skills, their storytelling ability and, more often than not, how they think on their feet when all is not as it seems. With many hours of intricate building ahead, stamina and a sense of humour will be the key as they are pushed to their LEGO limits. With $100,000 in prizemoney on offer and 2.5 million LEGO bricks at their fingertips, the possibilities are mind-bogglingly big. The team who consistently impresses with the best use of bricks, plates, tiles, studs, knobs and tubes – that’s LEGO to the rest of us – will walk away victorious, LEGO trophy held aloft and bragging rights intact for the rest of their days. That was quick. Announced at upfront on Wednesday, filming began on Friday. If only other networks can do it like this. Lego Masters was confirmed as being picked up by Nine in late June with auditions being opened shortly after, I’d say a lot of things have been happening behind the scenes since then. Finally something that isn’t sport, dancing, singing, renovating, cooking and dating. Looking forward to it. Yep. I actually think this show will be a huge hit. They are onto something good here. According to today’s Herald Sun, the first building task took 15 hours. Will Lego Corporation approve and authorise this? I mean, since it’s already been commissioned, then I’d think they would’ve approved it. I’m sure they would have gained approval way before they started production. They’d have to get approval to even use the name in the title. Not to mention it’s practically free advertising. According to an article in today’s Sunday Herald Sun print edition, filming at the Royal Melbourne Showgrounds finishes this Friday (December 21), just in time for Christmas. Hamish Blake said there were 2.5 million Lego pieces on set, and he managed to steal a few pieces and made some stuff for his son Sonny. The Showgrounds has been the location of several reality shows in recent years, including MasterChef (season 11 filming in progress before the festive break), Family Food Fight, and this one. Could this show possibly air in Q2? There isn’t much happening other than Your Gen and The Voice so they might as well slot it in there.